Rudy Giuliani told Chuck Todd on NBC's "Meet the Press" that President Trump "can remember having conversations" with Michael Cohen about Trump Tower Moscow right up until the election — as late as November 2016. One big quote: "No. 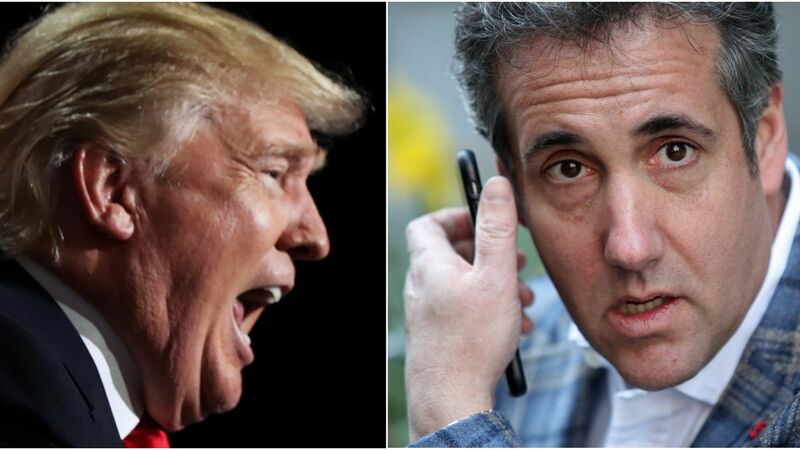 It's our understanding that it, that [talks] went on throughout 2016, not a lot of them, ... but the president can remember having conversations with [Cohen] about it. ... Probably up to, could be up to as far as October, November." Between the lines: Giuliani’s rounds on Sunday morning TV related to the BuzzFeed report over the weekend that Trump directed Cohen to lie to Congress about a deal to build a Trump Tower in Moscow. In a rare response, special counsel Robert Mueller's office claimed the story was inaccurate. Giuliani to Chuck Todd: “I can tell you his counsel to Michael Cohen throughout that entire period was, ‘Tell the truth.’ We thought he was telling the truth. I still believe he may have been telling the truth when he testified before Congress."